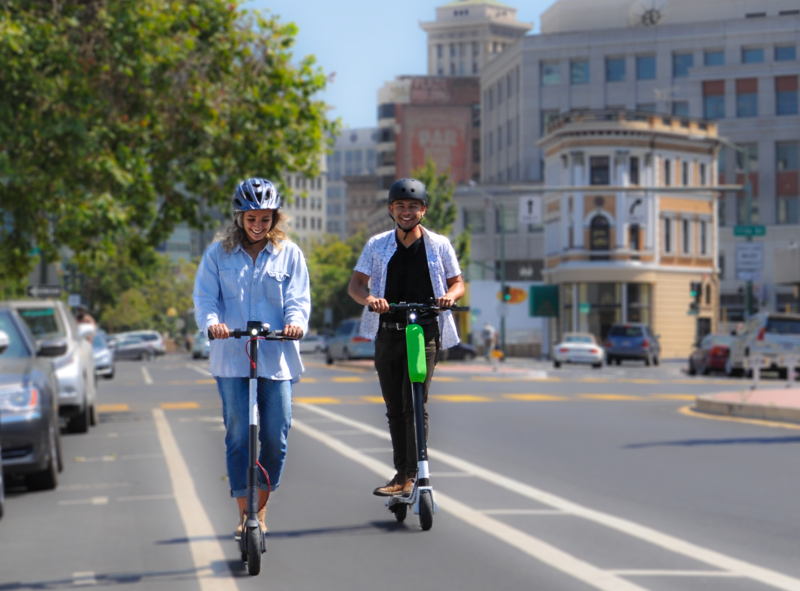 Oakland → News → We want to hear from you - Take the Oakland Scooter Survey! We want to hear from you - Take the Oakland Scooter Survey! The Oakland Department of Transportation (OakDOT) wants to better understand how Oaklanders are using e-scooters. By taking this survey, you will help inform future plans and policies regarding e-scooters. The survey will take approximately 5-10 minutes to complete. There will be five $10 Amazon gift cards to be raffled off to anyone who completes the survey by April 12th, 2019! Shared e-scooters are the newest transportation option for getting around Oakland. E-scooters have the potential to help achieve City goals, such as improving transportation choices and minimizing parking demand, congestion and pollution. However, when used improperly e-scooters can obstruct sidewalks, curb ramps, and other portions of the public right-of-way. Learn more about the e-scooter program here. Learn about all of Oakland’s shared mobility programs and how to sign-up for discounted memberships here. Want to know the results? Join the Shared Mobility mailing list for updates!